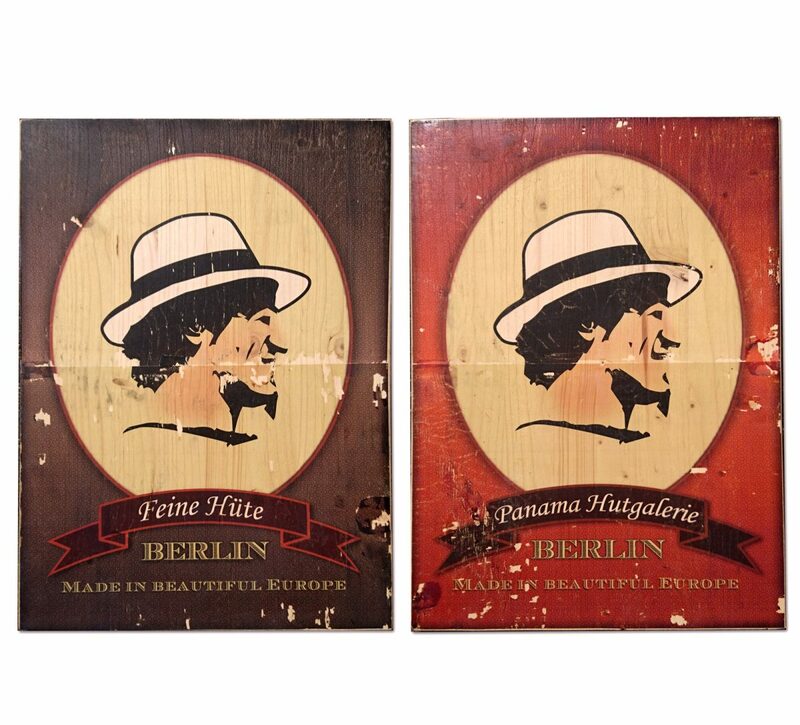 Kreuzberg´s wonderful Panama Hutgalerie needed pretty signs in a “used” retro look to represent the company at trade fairs. ZSUWD has manually printed two signs using the acrylic transfer print technique. The logo based design blends beautifully into the wooden carrier material. The acrylic print process reverses the common digital production process, new but used looking originals are made from copies.